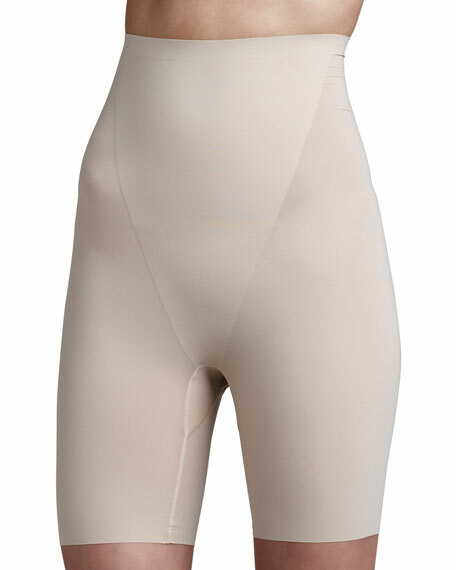 From the Trust Your Thinstincts Collection, this Spanx shaper comfortably smoothes you with the flattest fit ever. Ultra-thin microfiber panel rises to just below the bra line for slimming through the tummy, hips, thighs and bottom. Reinforced tummy panel offers an additional layer of silky shaping support. 100% cotton gusset for comfort and breathability. For in-store inquiries, use sku #171790.